Background: Professor Joanne Aitken is General Manager, Research and the Director of the Australian Childhood Cancer Registry at Cancer Council Queensland. 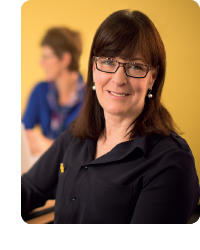 Joanne holds academic appointments in the School of Public Health at the University of Queensland; School of Research – Public Health at the Queensland University of Technology; and the Menzies Health Institute Queensland. Joanne is a distinguished research scientist who has worked in the field of cancer epidemiology for the past 25 years. She completed her PhD at the University of Queensland in 1991, a Master of Science at Harvard University in the same year, and moved to Cancer Council Queensland in 1997 to lead a world-first investigation of early detection of melanoma. Joanne has co-authored over 220 scientific publications and she was co-winner of the Queensland Government’s inaugural Smart Women Smart State award in the research scientist category for cancer control research. Joanne sits on national (cancer registration, cancer in young adults, cancer service quality and safety) and international advisory groups. She is the elected regional representative for Oceania on the Executive Board of the International Association of Cancer Registries. Background: Professor Peter Baade is a Senior Research Fellow in Biostatistics at the Cancer Council Queensland, where he manages the Epidemiology Research Program. He also holds several Professorial adjunct university appointments, is an Honorary Fellow of the Menzies School of Health Research and an Accredited Statistician with the Statistical Society of Australia. His primary research interests are to describe the patterns of cancer-related outcomes both nationally and internationally, and specifically to better understand why these outcomes depend on where people live and the role of remoteness, area disadvantage and ethnicity on these patterns. He has published/in press 170+ peer reviewed manuscripts with over 4,900 citations and a h-index of 36 (source: Google Scholar), along with 20+ monographs. He is a guest editor for the International Journal of Environmental Research and Public Health. 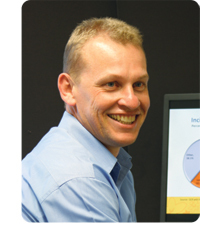 Peter is currently Chief Investigator on two NHMRC Project grants. Over his career he has received more than $8million in total grant funding, including an NHMRC Career Development Fellowship (Level 2) and eight NHMRC Project Grants (2 as CIA). He currently co-supervises 3 PhD students, with 2 PhD students and 1 research masters student recently completed. He is an invited reviewer for national (including NHMRC) and international funding bodies, regularly provides reviews for national and international scientific journals (85+ since 2011) and examinations for thesis dissertations and is on the Statistical Advisory Board for BMJ Open. 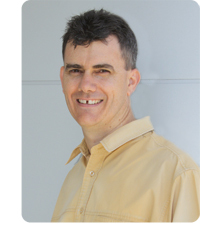 Peter is a current member on the NHMRC CDF review panel (2014-) and an invited member of the Health Program Board for the Cooperative Research Centre for Spatial Information. His work has directly informed government strategic policy in reducing cancer inequalities based on residential location. Research interests: To describe the patterns of cancer outcomes, particularly those in Queensland, and to quantify and better understand the geographical variation and inequalities in those outcomes. Current research projects: Determinants of geographical inequalities in colorectal and breast cancer survival; a multilevel investigation of inequalities in clinical and psychosocial outcomes for women after breast cancer; Bayesian statistical models for understanding outcomes for women screened with breast cancer; patterns of care, comorbidities and quality of life of Indigenous and non-Indigenous people with lung, head & neck, breast or gynaecological cancers; investigating spatial and demographic inequalities for men diagnosed with prostate cancer in Queensland; cancer among Australian children (Australian Paediatric Cancer Registry). Background: Danny Youlden has been with Cancer Council Queensland since June 2005. His primary role is to analyse population-based cancer data from both the Queensland Cancer Registry and the Australian Paediatric Cancer Registry, as well as contributing biostatistical support for other research programs within the CRC. He has been the lead author on several reports examining the descriptive epidemiology of cancer in Queensland as well as childhood cancer throughout Australia. Prior to joining CCQ, Danny spent 15 years working as a statistician for Queensland Health and the Australian Bureau of Statistics. Research interests: Descriptive epidemiology of cancer, paediatric cancer, second primary cancers, skin cancer. Current research projects: Implementation and evaluation of international childhood cancer staging guidelines; development of a web-based reporting system for Australian paediatric cancer statistics; survival patterns after multiple melanomas; state, national and international cancer incidence projections. Background: Professor Michael Kimlin has developed a world first research program aiming to understand the health duality of human exposure to ultraviolet radiation. His career spans both experience in the USA and Australia culminating with presently leading the NHMRC Centre for Research Excellence in Sun and Health and, until recently, QUT’s AusSun Research Lab. He has published over 150 articles on the topics of skin cancer prevention, Vitamin D and sun exposure assessment. Professor Kimlin is a mentor and supervisor of five doctoral students and has conducted projects in Australia, USA, China and Germany. 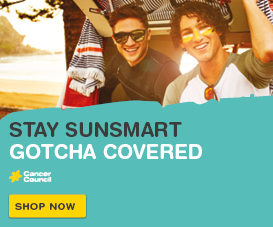 He is the Chair of the Queensland Skin Cancer Prevention Network and is the Cancer Council Queensland Foundation Professorial Chair of Cancer Prevention at the University of the Sunshine Coast. His most important translational work is authoring the defining paper “AusD: A study of Vitamin D in Australian Adults” which recently won the “Top Ten Papers of 2014” in the American Journal of Epidemiology. His Vitamin D and UV radiation research provided valuable evidence for the Risks and Benefits Statement for UV Exposure – a joint position statement by Cancer Australia, Osteoporosis Australia, Australasian College of Dermatologists and the Australian Bone and Mineral Society. Research interests: Vitamin D, sun exposure and skin cancer. 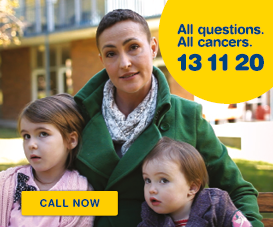 Background: Professor Suzanne Chambers is a health psychologist and registered nurse and has worked as a practitioner and researcher in psychological support for people with cancer for over 25 years. She is an Australian Research Council Future Fellow and the Director and Menzies Foundation Professor of Allied Health Research in the Menzies Health Institute Queensland at Griffith University. She has published extensively on the psychological effects of cancer and is currently leading large scale randomised controlled trials of interventions that address couple support and sexuality, lifestyle and unmet supportive care needs, and psychological distress in men with prostate cancer. Since 1997 Suzanne has published/in press 174 peer review manuscripts; 9 book chapters; 56 published abstracts; one e-book; 6 reports and one book. Her research is published in top quality international journals, as well as those that have relevance for communicating within the field. For example, she has published in the Journal of Clinical Oncology, Health Psychology, Oncology Nursing Forum, the Medical Journal of Australia and Cancer. She has 5,121 citations; h-index of 39 (Google Scholar August 2016). 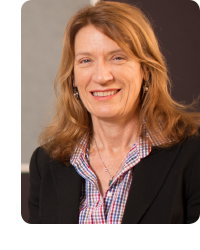 Suzanne has been a Chief Investigator on successful research grants valued at over $26.5 million including National Health and Medical Research Council, Australian Research Council, Prostate Cancer Foundation of Australia, Cancer Australia, Beyond Blue and Cancer Council Queensland. Research interests: Psychosocial support for people with cancer. 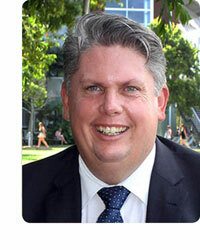 Background: Professor Jeff Dunn AO is the Strategic Leader in Social and Behavioural Sciences at Cancer Council Queensland and is the Professor and Chair of Transformative Social Science at the University of Southern Queensland. He also holds Professorial appointments with the Griffith University School of Medicine and University of Queensland’s School of Social Science. He has a central focus on the social and behavioural aspects of cancer control, spanning across the continuum of research, prevention, early detection, supportive care and quality of life. He is actively involved in research in this field and has dedicated his career to the development of novel supportive care strategies that underpin cancer prevention and improve community awareness of the disease. Jeff continues to serve on the Board of the Union for International Cancer Control (UICC) and is the Secretary and a Director of the International Psycho-oncology Society (IPOS). He currently serves, among other things, as an editorial Board member for Psycho-Oncology Journal and is also the Chair of the UICC’s Asia Pacific Cancer Society Training Grants Programme. Jeff is the Immediate Past President of the Asian Pacific Organization for Cancer Prevention (APOCP). 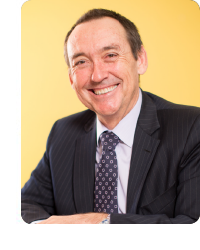 Jeff was appointed an Officer in the Order of Australia in June 2014 for distinguished service to medical administration through leadership roles with cancer control organisations, and to the promotion of innovative and integrated cancer care programs. Our work is only made possible by your generous support. Thank you. 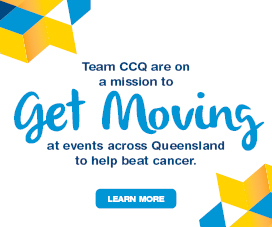 Add your email to stay up to date with Cancer Council Queensland. By submitting this form you are agreeing to our privacy collection statement. This website is made possible by the generous support of Queenslanders.